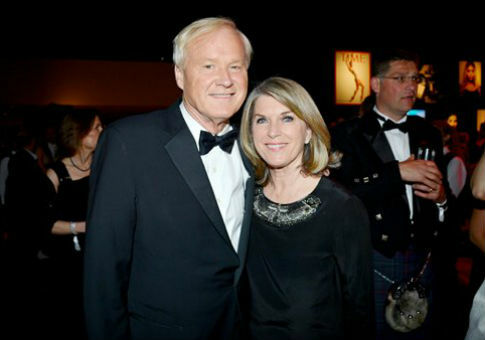 A number of guests who have appeared on Chris Matthews’ Hardball have given nearly $80,000 in donations to his wife, who is running for Congress in Maryland. Kathleen Matthews, the former Marriott executive, is seeking to win the April 26 Democratic primary and has pulled in money from a number of powerful people including high-end donors and associates who have close ties to Hillary Clinton, the Washington Free Beacon reported last week. The support coming from major Clinton supporters has led to conflict-of-interest concerns from some, especially those on the left, that Chris would favor Clinton over her rival Bernie Sanders when covering the Democratic presidential primary. Now, it has discovered that people who have appeared on "Hardball" have also given generously to the Matthews campaign. Guests are shown to have poured a combined $79,050 in contributions into the campaign of Kathleen Matthews, according to campaign finance data reviewed by The Intercept. Using Federal Election Commission reports, it was found that 48 frequent guests on the show have made donations to the campaign. Donors include current Democratic members of Congress like John Larson (who gave $2,000), Claire McCaskill ($1,000), and Ed Markey ($2,000), whom Matthews personally endorsed for the Senate back in 2013. They include ex-legislators like former Reps. Martin Frost ($1,250) and Susan Molinari ($1,000) and former Sens. Tom Daschle ($2,500 from him and his wife), John Breaux ($1,000), William Cohen ($1,600 from him and his firm, the Cohen Group), Kent Conrad ($250), and Evan Bayh ($2,000), all of whom are now corporate lobbyists. They include veterans of the Obama, Clinton, George H.W. Bush, Reagan, Carter, Ford, and Nixon White Houses. They include members of the media, corporate lawyers, lobbyists, advocacy organization leaders, consultants, campaign managers, and one current cabinet official. The list defines a bipartisan coterie of insiders and backslappers, many of whom have a reserved spot in the Hardball Rolodex. NBCUniversal did not respond to requests for comment about its disclosure policy regarding guests on Hardball who have donated to Matthews’s wife. Before Kathleen Matthews announced her candidacy, MSNBC said it would take "all appropriate measures" to ensure fair coverage of the race, "which would include fully disclosing Chris’s relationship to Kathleen if her candidacy is mentioned either by him or a guest." The Intercept’s full article can be read here. This entry was posted in Politics and tagged Campaign Finance, Chris Matthews. Bookmark the permalink.